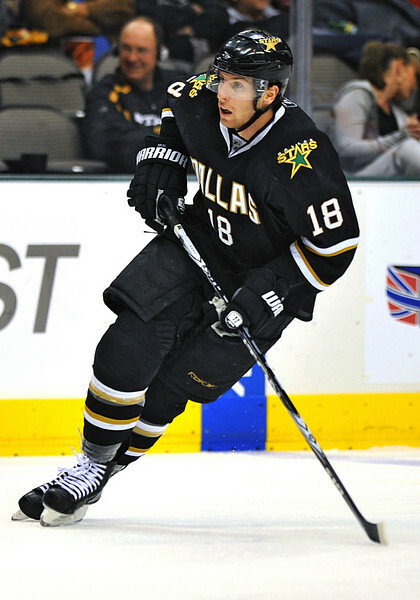 Dallas Stars left wing James Neal (18) in action during a game between the Calgary Flames and the Dallas Stars at the AAC in Dallas, Texas. 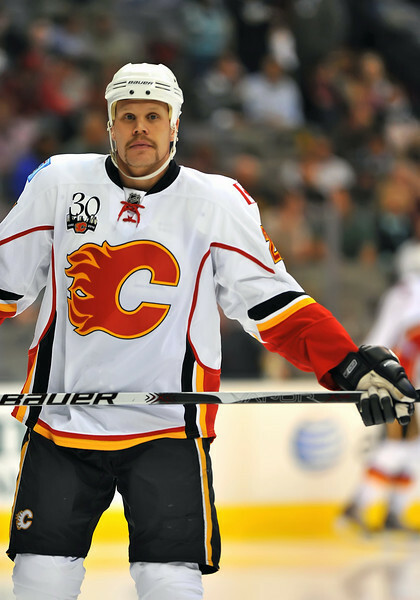 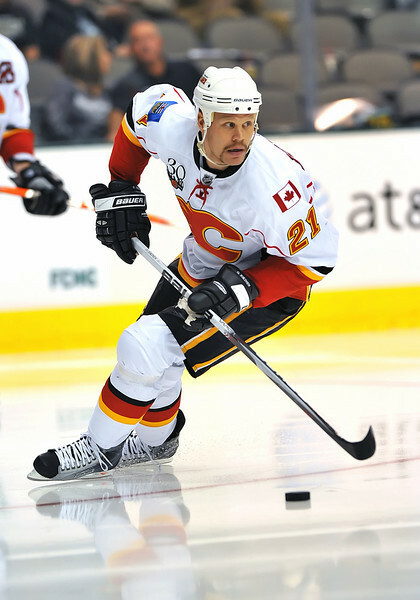 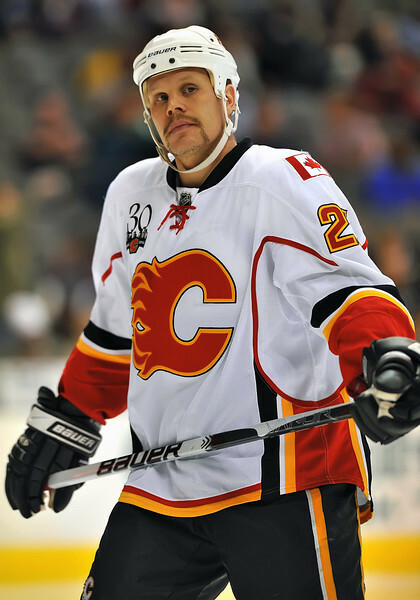 Calgary Flames center Olli Jokinen (21) in action during a game between the Calgary Flames and the Dallas Stars at the AAC in Dallas, Texas. 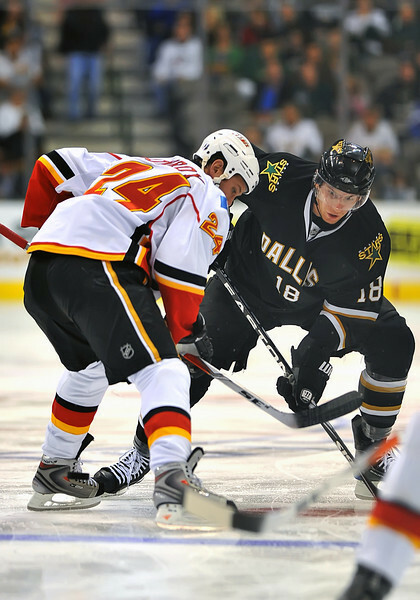 Dallas Stars left wing Fabian Brunnstrom (96) in action during a game between the Calgary Flames and the Dallas Stars at the AAC in Dallas, Texas. 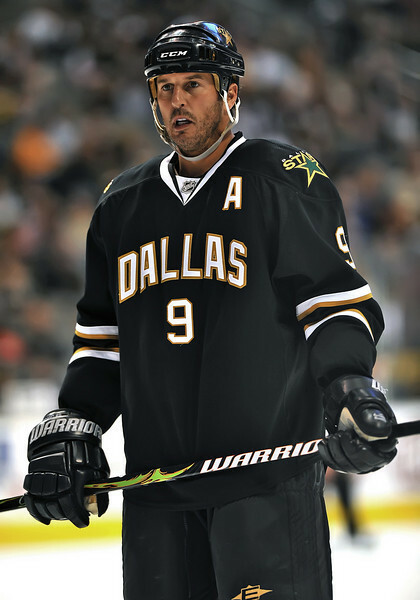 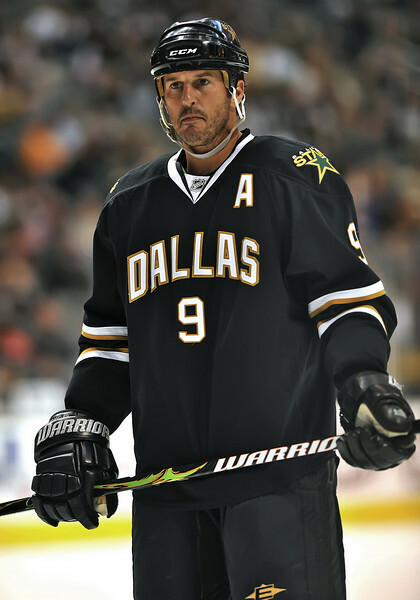 Dallas Stars center Mike Modano (9) in action during a game between the Calgary Flames and the Dallas Stars at the AAC in Dallas, Texas. 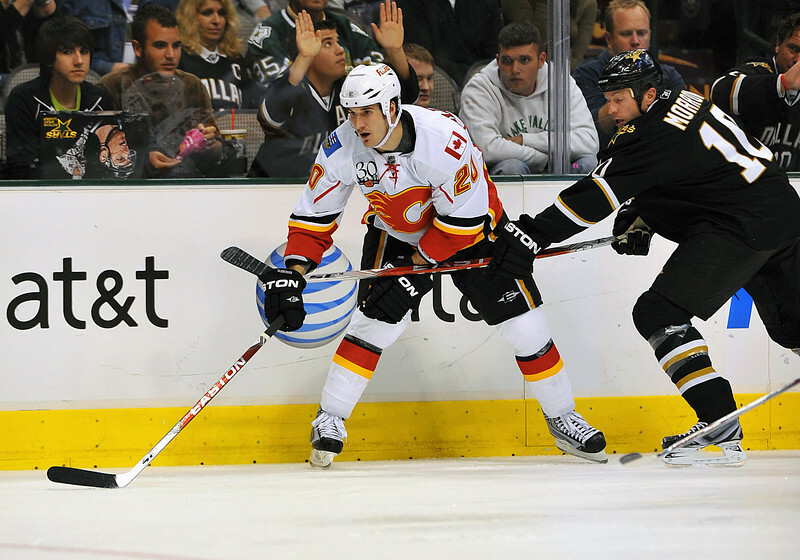 Dallas Stars left wing Jamie Benn (14) in action during a game between the Calgary Flames and the Dallas Stars at the AAC in Dallas, Texas. 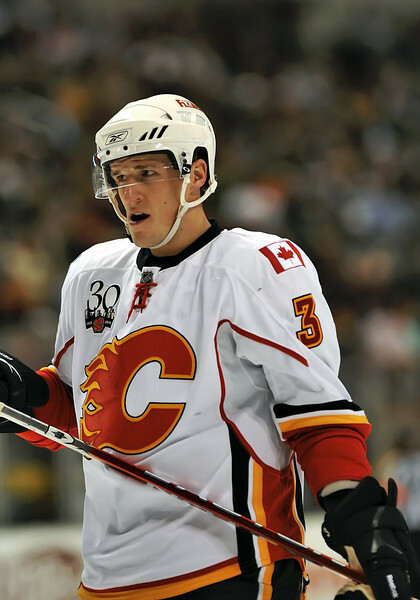 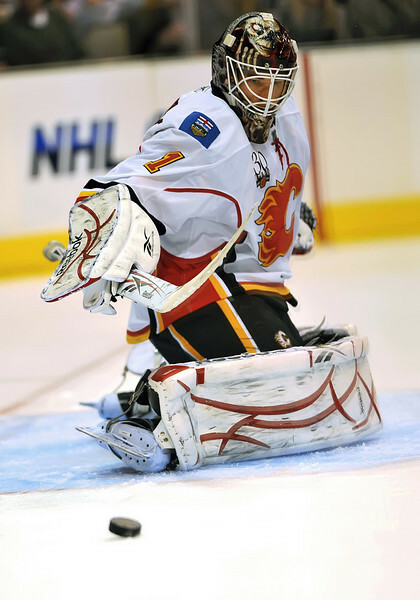 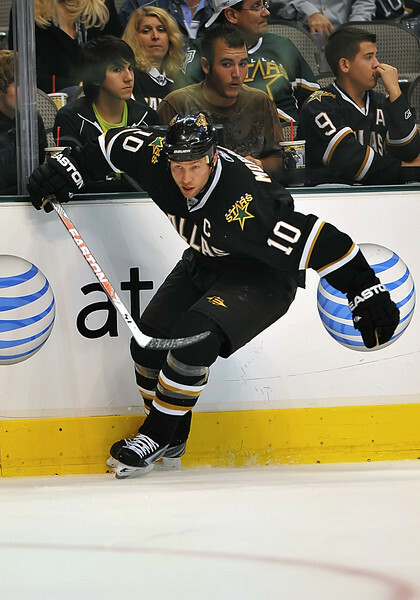 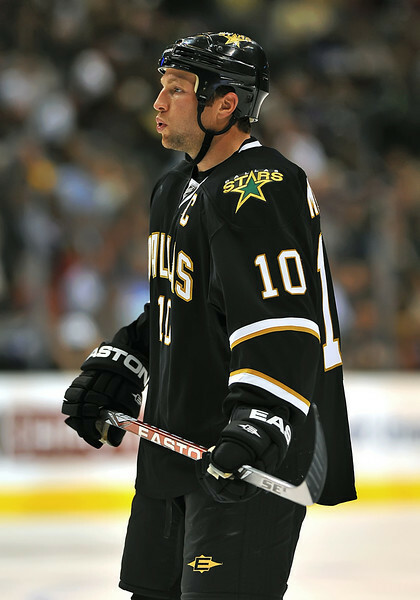 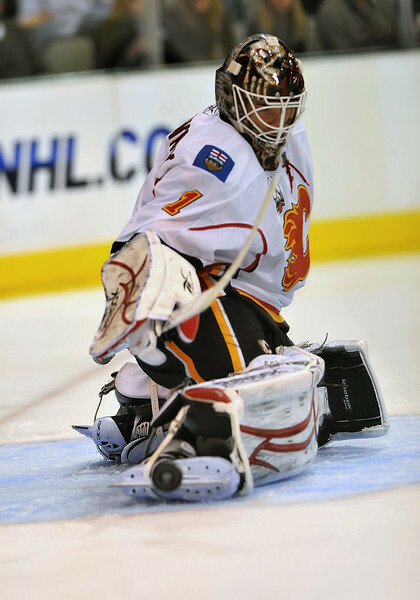 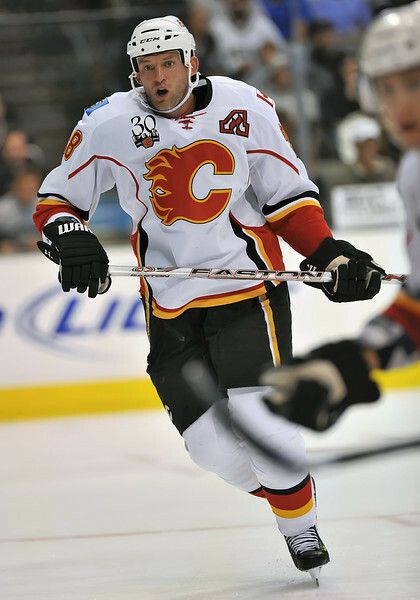 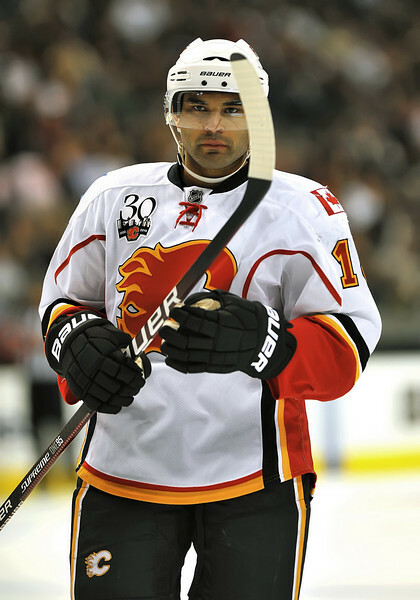 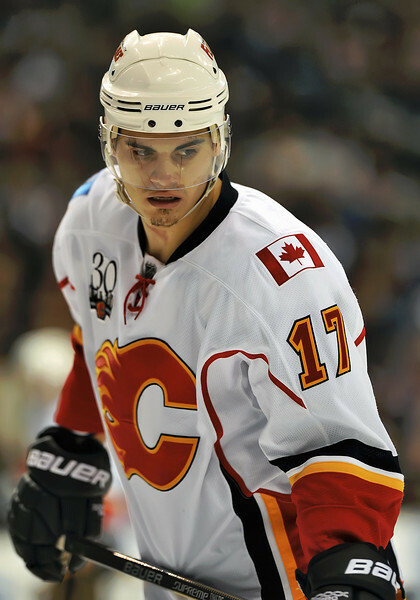 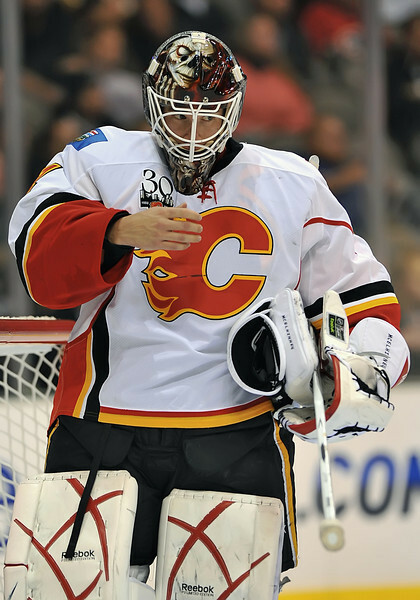 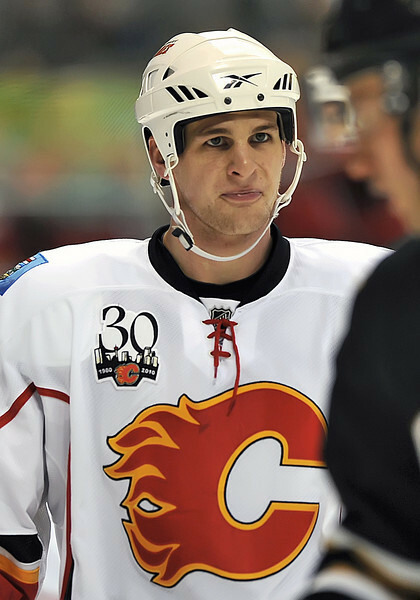 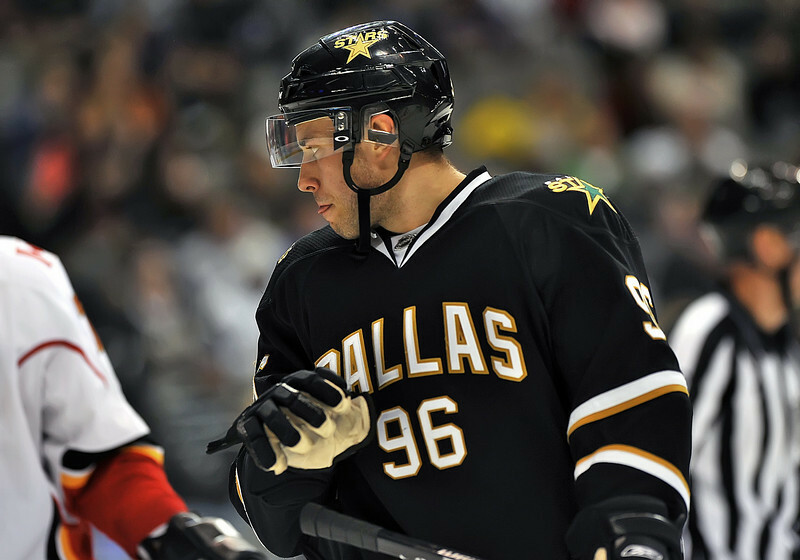 in action during a game between the Calgary Flames and the Dallas Stars at the AAC in Dallas, Texas. 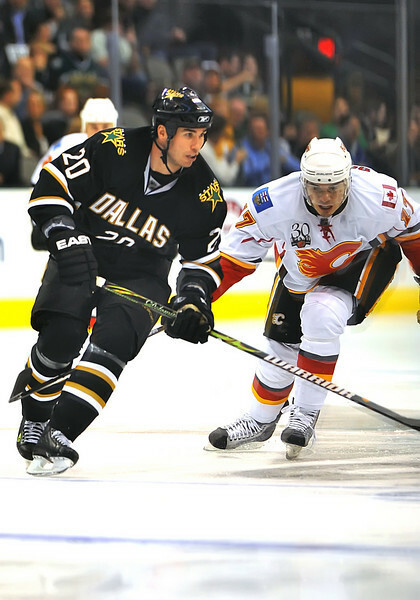 Dallas Stars center Brian Sutherby (20) & Calgary Flames left wing Rene Bourque (17) in action during a game between the Calgary Flames and the Dallas Stars at the AAC in Dallas, Texas. 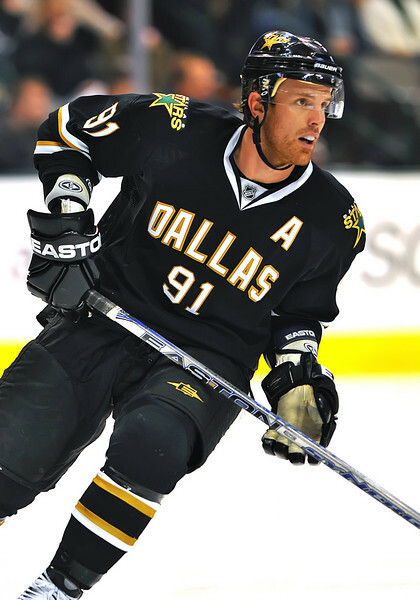 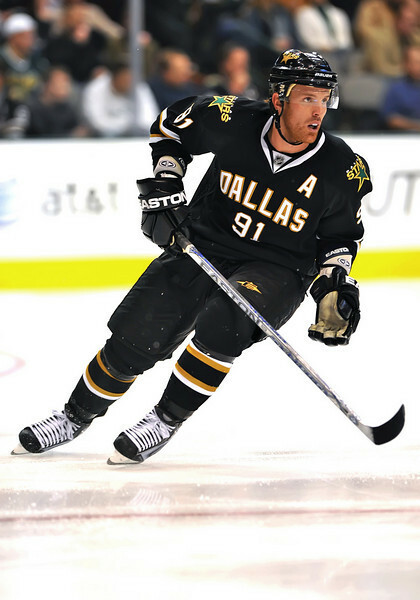 Dallas Stars center Brad Richards (91) in action during a game between the Calgary Flames and the Dallas Stars at the AAC in Dallas, Texas. 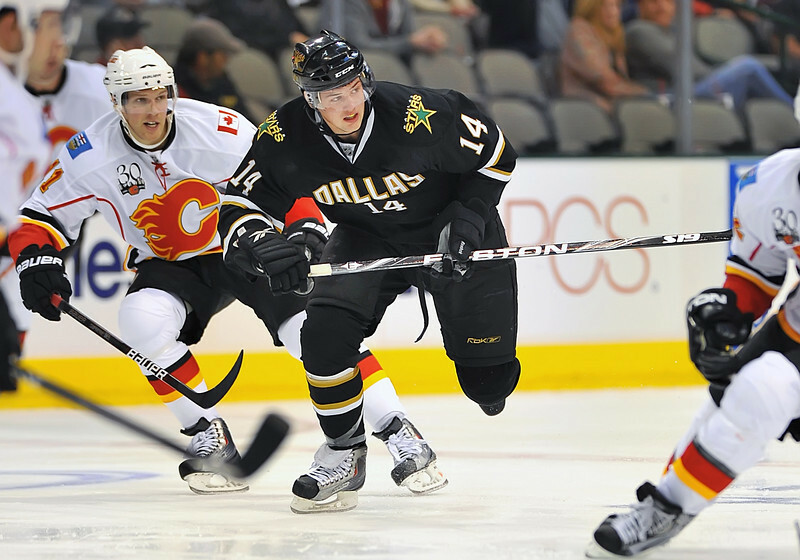 Dallas Stars left wing Loui Eriksson (21) in action during a game between the Calgary Flames and the Dallas Stars at the AAC in Dallas, Texas. 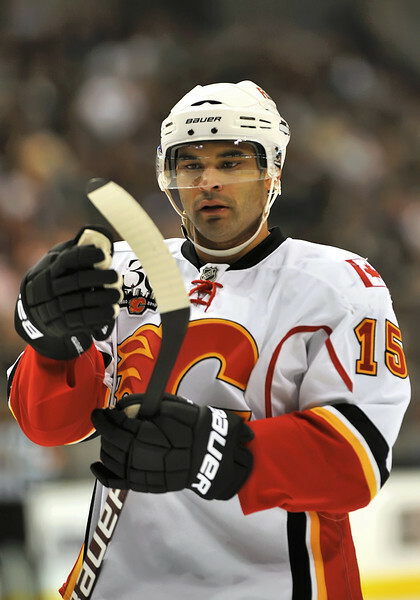 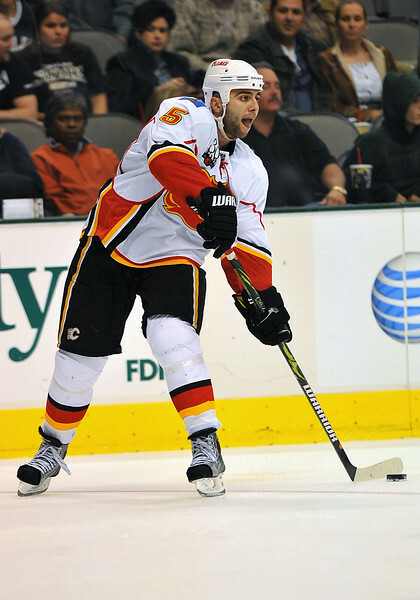 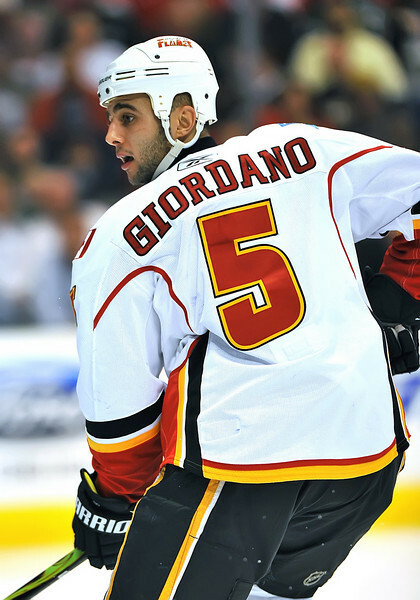 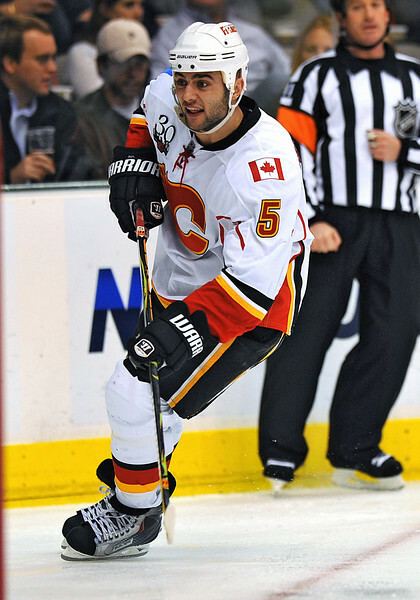 Calgary Flames defenseman Mark Giordano (5) in action during a game between the Calgary Flames and the Dallas Stars at the AAC in Dallas, Texas. 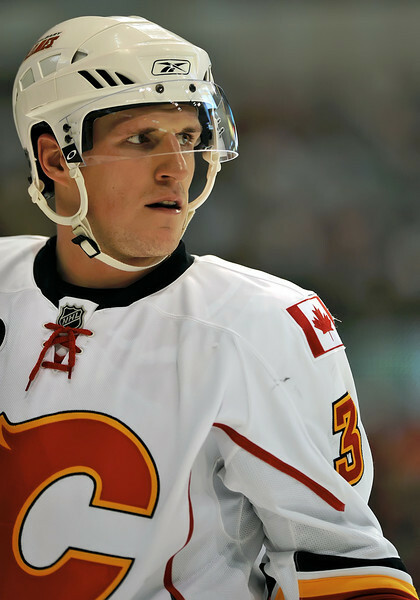 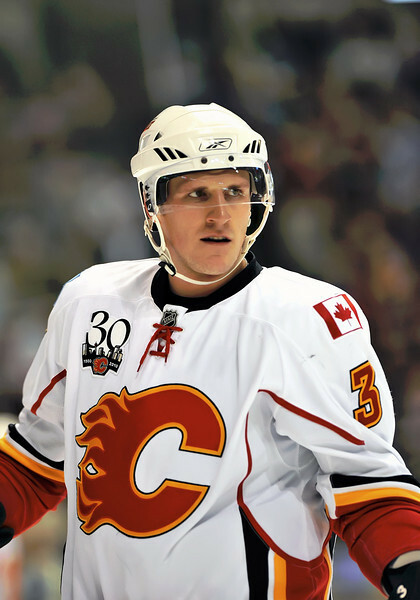 Calgary Flames defenseman Dion Phaneuf (3) in action during a game between the Calgary Flames and the Dallas Stars at the AAC in Dallas, Texas. 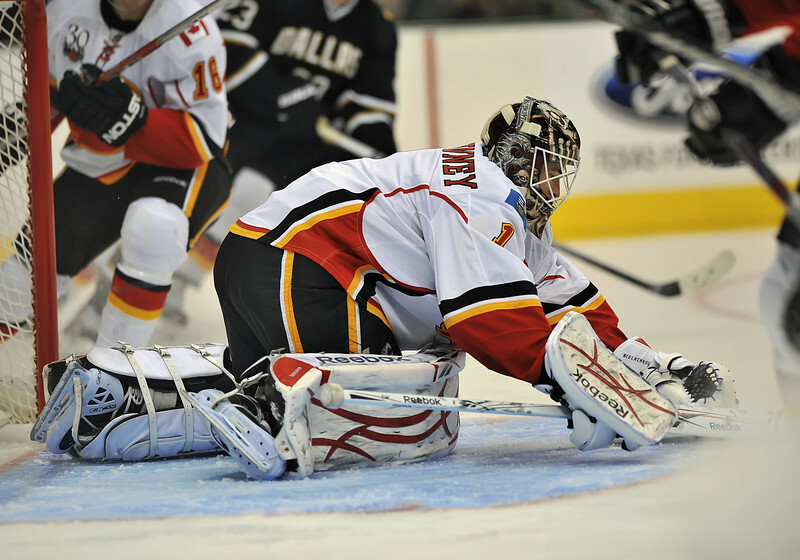 Calgary Flames goalie Curtis McElhinney (1) in action during a game between the Calgary Flames and the Dallas Stars at the AAC in Dallas, Texas. 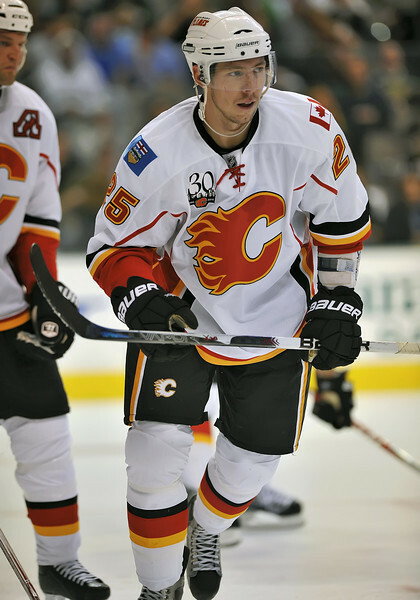 Calgary Flames defenseman Adam Pardy (7) in action during a game between the Calgary Flames and the Dallas Stars at the AAC in Dallas, Texas. 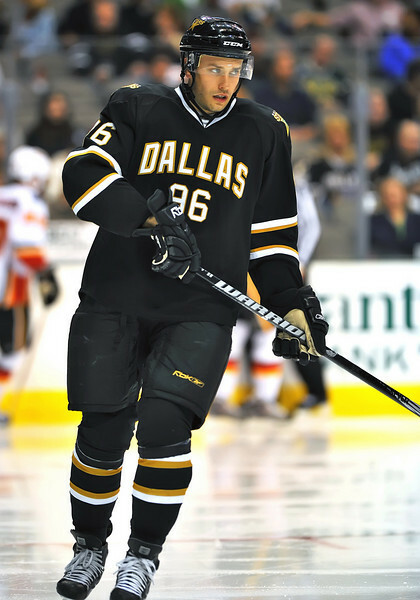 Dallas Stars center Steve Ott (29) in action during a game between the Calgary Flames and the Dallas Stars at the AAC in Dallas, Texas. 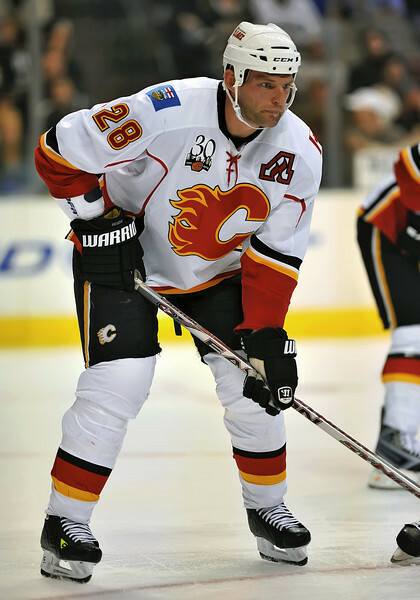 Calgary Flames defenseman Robyn Regehr (28) in action during a game between the Calgary Flames and the Dallas Stars at the AAC in Dallas, Texas. 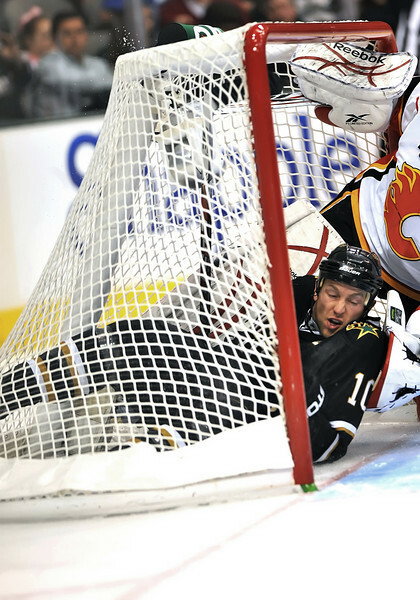 Dallas Ice Girls in action during a game between the Calgary Flames and the Dallas Stars at the AAC in Dallas, Texas.